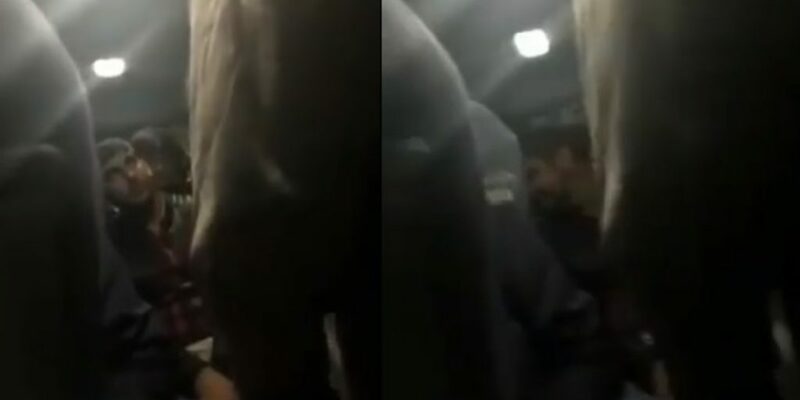 This Leaked Video From A Private School's Trip In Lahore Is Alarming Both Parents/Students And It’s Shocking! It happened just recently when the hot season set in. A group of students comprising young boys, belonging to a renowned schooling system (Garden Town, Lahore), planned on a trip under their teacher’s supervision. And what an excursion this proved to be to the young lads! Planned as a journey for leisure purpose, the visit turned out to be something more for morality and humanity than anything else. What this teacher can be heard shouting for was all logical and human in substance. What he is seen and heard meting out to his rather obnoxious students faculty appears to be the need of current times. These mentorship guts are what actually lack in our unfortunate society. But then, the lotus flower thrives in the shallows of muddy waters. The young students’ community seen here exactly fits into our “burger family” formula. The ones whose parents are their prime bank accounts with unlimited access to financial resources. Their mentor here successfully plays his due part: that of a true guiding light. The youngsters here were inclined towards smoking, flirting with young girls and all the rubbish that comes with this newly-acquired pubertal age. There is still no denial to the fact that such demands are “coincide” with their raw age, yet appear objectionable to any sage person. It’s our collective responsibility to rightly guide our juniors, whether related to or total strangers. And here, we find this one person who yells in high notes of extremely foul terms. And, nearly all of the times one needs to drag himself to such lowliness of character to raise others out of the mire. Who knows, if the teacher would have actually emerged triumphant in his sublime efforts! Our Age-old Teacher-Student Friction: Our Societal Norm? Yes — a highly summarized answer. But, we need to delve into the crux of it. How indifferent we have been all these years to our students as their parents and/or their teachers! Our casual approach towards our minors’ character-building has penalized us heavily in creating such distance and conflicts of interest. What we are bound to be replied with is the “generation gap” that produces all the rift. It’s more than a shameful act of ours wherein we accept and endorse such crude behavior as being hunky dory. With such a bruised mentality, one of a sane thought would be definitely left behind to lament over this utter disconnection that wasn’t to be.